Twice a year, we have the great pleasure of giving out our Project Cape Made grants to local makers. We started the program by raising money through sales of a special apparel line with the intention of giving $500, unrestricted, to businesses nominated by other locals. Last year’s recipients were Devinto and Cook’s Organics, and this year, due to the generosity of The Cooperative Bank of Cape Cod, we are able to give out two awards in both the spring and the fall. 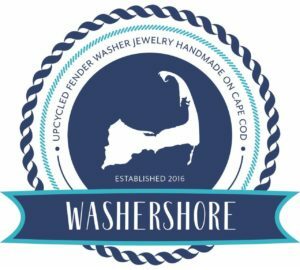 We are so excited to announce that our spring 2018 recipients of the Project Cape Made awards are Cape Cod Home Remedies and Washershore. 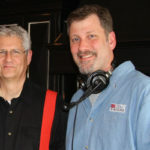 Here we chat with them both for more insight on their products and their love for Cape Cod. What is your connection to the Cape? Sabrina: I grew up here and I have always loved living here. Heather: I moved here 6 years ago for my husband’s job. I quickly fell in love with the people, the awesome “community” feel and how passionate people here are about supporting local. 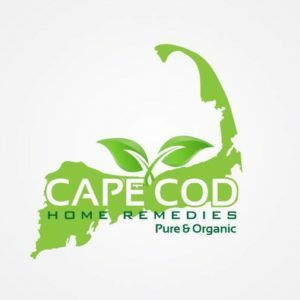 Tell us about Cape Cod Home Remedies? How did you come up with the concept? Heather: CCHR focuses on making natural products that are as effective as your conventional, chemical filled ones. Personally, we have made our own products for our families for a while. Heather-When I was pregnant with my 7 year old twins, I read the book, Healthy Child, Healthy World and immediately started reading labels and paying attention to what was going in and on our bodies. When Sabrina and I met, we realized we both had the same passion for healthy and non-toxic living. We realized that other people were interested, and we became excited to share our knowledge and products with others. Who should consider buying your products? Heather: Well, everyone, obviously! But really, anyone who’s interested in living a healthier, more natural life. families. A great piece of advice for anyone who is just starting out (as it can quickly become overwhelming) is starting small. Focus on one thing at a time! What is your favorite thing about being a maker on the Cape? Heather:. The people we meet. 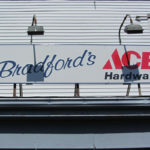 We have forged relationships with some of the most supportive people, and it makes us so happy and honored to be a part of this small business community on the Cape. How will the Project Cape Made grant help your business grow? Heather: We’re really excited to be able to strengthen our presence here on the cape, and also to broaden our reach over the bridge. The Project Cape Made grant will be used to help us market our brand in the way of newsletters, more advertising and better brand recognition. What do you consider your perfect Cape Cod day? Sabrina: Despite all the appreciation I have for our tourist market, my favorite Cape Cod days are spent on the beach in late spring or early fall. Heather: I love spending the day on Mayflower beach with my friends and all of our children. I love the memories and long standing friendships we are creating. As a kid, I always vacationed on the Cape every summer and knew one day I’d have to call the Cape my home. When I moved here 12 years ago, it was clear I never wanted to leave. Jenn on the other hand was lucky enough to grow up here. A DY student who came back after college to teach for the same district she went through. Now the two of us are living in Harwichport with two pups and take advantage of all that the Cape has to offer. Tell us about Washershore? How did you come up with the concept? Unfortunately, 6 years ago, I was out of work for back surgery. Recovery was terrible and I was limited to the couch. It kind of just hit me that I should try a craft I could do while sitting and that met my style. I’ve never been a “jewelry” person, but I always had a necklace on. I had some hardware washers in the tool box along with different patterned paper and gave it a shot. I was pleasantly surprised with the outcome that I wanted to share them with friends and family. Through the years since, and with the help of Jenn, we have evolved the washer to where it is today. Our first event was the LoveLocal Fest. We were new to the scene as a Cape Artist and didn’t really know what to expect. In the first 8 hours that we were displaying what we could do, we knew this was going to be a fun ride. This community (Cape Makers) is exceptional. Everyone cares about one another and is willing to help in whatever way possible. It’s very clear that we are a tight knit community that invests in our home we call the Cape. 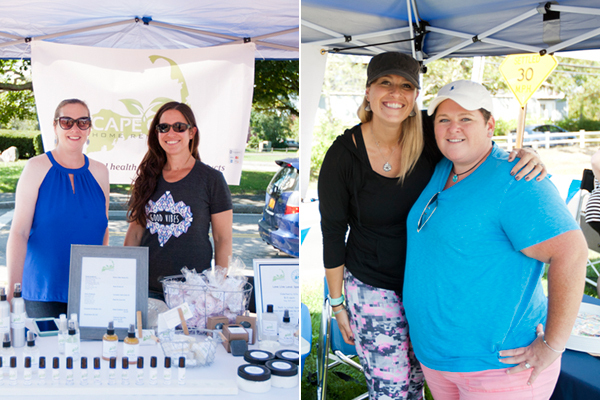 Being a small Cape made artisan, one of the ways we grow our business is to be a part of outdoor fairs and markets. Our previous season was successful; however we knew we would need to invest in a new tent for Washershore. This grant will help us travel to local outdoor events like LoveLocal Fest and continue to support our vision. Toes in the sand and drinks in our hand!